There are spices, and there are spices! We agree that spices are ingredients used to flavour food and they are usually aromatic, but then there are some spices such as fennel that stand out. Fennel is not only used for food, it is also used for medicine too, and we shall discuss how it is used, when to use it and what to expect in taste when you eat it or eat food it has been used to prepare, Curious already? I thought so. Spices like fennel start their soothing and fulfiling work all the way from their aroma before you get to their flavour. It is useful just as it is powerful, and if you disagree with any of that, keep reading and be wowed. Fennel is a vegetable which has a very pleasing and favourable sweet taste commonly compared to that of liquorice, a plant from which sweets are often made. It’s similarities in taste to that of liquorice is what gives it its popularity in a way. Fennel is characterized by lovely white flowers, an onion-like bulb and green hairy strands on its head called fronds; these fronds are just as beneficial as the bulb of fennel and the seeds which make its entire parts of no waste, who wouldn’t want a herb like that? Fennel belongs to the Apiaceae family to which other similar aromatic plants like carrot and parsley. Fennel was once grown only in the Mediterranean but as times changed, it spread towards other countries and regions such as United Stated and India amongst other places around the world. So here is a case of false and real plants again, there are lookalikes of some fruits or herb which could equally pass for tasty stuff when cooked in replacement mistakenly, and they could even have some nutritional benefits just as the real things have, but when talking about fennel, it is a total no no. Hemlock which is a lookalike for fennel is very poisonous and could pose serious health dangers if “mistakenly” consumed, so you need to be on the lookout. Although fennel and hemlock are similar in terms of physical looks and characteristics, you can do a better job trying to tell them apart when they are fresh in the winter periods, good luck trying distinguishing when they are dried! One of the best ways to find out if you have actually got poison hemlock is to smell it; fennel has an aromatic, appealing fragrance, unlike hemlock which smells rather disapproving. If the plant is fresh, check the colour of the flowers, fennel has yellow flowers unlike that of hemlock plant which is white. You should note that it takes less than a handful of fresh hemlock leaves to cause illness and even death so look and smell properly before using. Tasting the plant for verification should be the last resort and if at all done, the plant tasted should be in very little quantity. Judging by how they are both from the same family and how their seeds look unimaginably similar, it is no surprise that many supermarkets place fennel for anise and vice versa, leaving people who can tell the difference in astonishment or amusing surprise. When dealing with fennel, the bulb, leaves and the seeds of the plant can be used for foods, tea, and other essentials but as for anise; only the seeds are of use. Anise just like fennel has a liquorice hint flavour to it which makes it a fine substitute for fennel when the occasion arises. So what am I saying basically, although fennel and anise have similar looking seeds which are both aromatic and sweet, the bulb of fennel are often sold and not that of anise, so when next you see a vegetable tagged “anise” it would most likely be fennel. Their seeds are both tasty and can in most cases be used interchangeably depending on the recipe. Let’s just call fennel “heath packed in a plant”. There have been so many proven health improvement potentials of fennel which have been in existence for many years before now. In an experiment carried out on animals, it was scientifically proven that fennel is capable of curbing inflammation and building anti-cancerous cells. 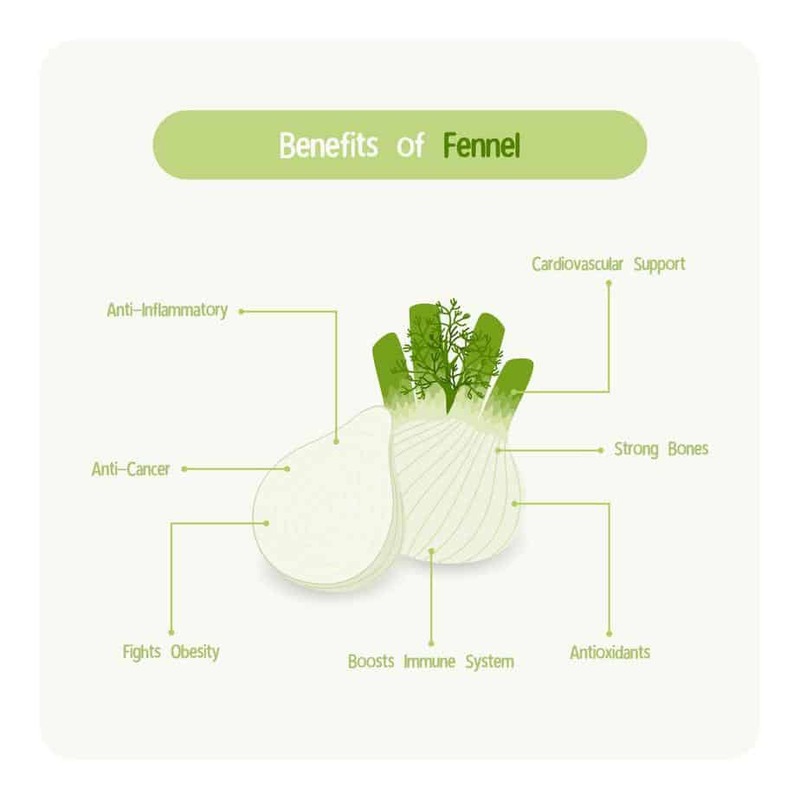 Anethole gives fennel it’s oil-rich base that it possesses, and when it blocks out those molecules which generate the cancerous cells in the body, cancer can be prevented altogether. 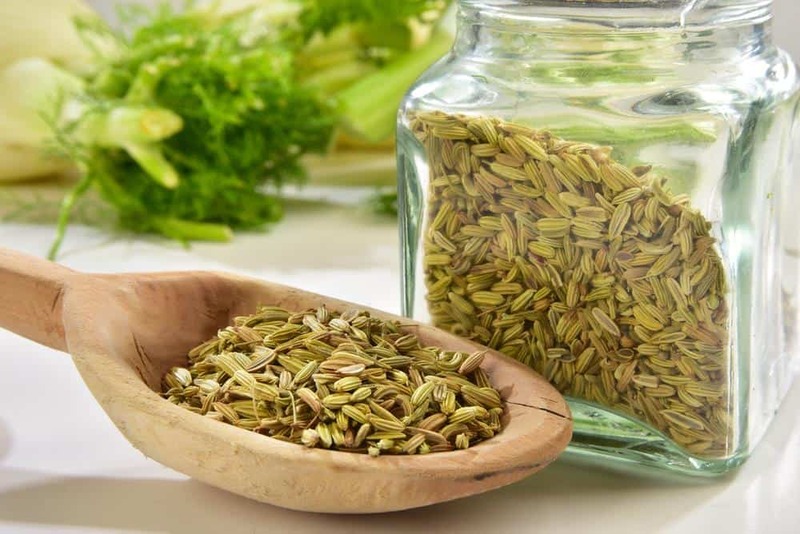 In ancient India, fennel was chewed immediately after diets to quicken the digestive process, and it is still practiced in some parts of India till date, this is achieved thanks to its fibre content. Fennel contains vitamin C, B-6, calcium, and iron amongst it others vitamins. For a refreshing fennel filled meal, prepare this salad from Sicilian Girl. This salad makes use of fennel bulbs, and it is a very easy and fun way to practice your fennel skills when in the mood for some quick fixes. If you are fond of using all other spices but fennel, it is high time you introduce it into your regular diets for you and your family. There must certainly be a part of the entire plant that you at least find good and pleasing to your taste buds, and if you don’t want the fresh vegetables you can use the seeds, this simply means that there is always something you can do with whatever part of fennel you have around you. When buying fennel, check for any signs of flowering, this usually signifies that the plant has grown past maturity and it may not last as long as fresher ones.